John Derek Freeman (15 August 1916 – 6 July 2001) was a New Zealand anthropologist best known for his criticism of Margaret Mead's work in Samoan society, as described in her 1928 ethnography Coming of Age in Samoa. 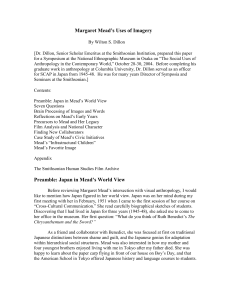 His effort ""ignited controversy of a scale, visibility, and ferocity never before seen in anthropology. 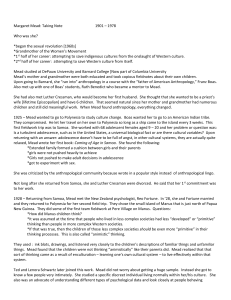 ""Freeman initially became interested in Boasian cultural anthropology while an undergraduate in Wellington, and later went to live and work as a teacher in Samoa. After entering the New Zealand Naval Reserve in World War II, he did graduate training with British social anthropologists Meyer Fortes and Raymond Firth at London School of Economics. He did two and a half years of fieldwork in Borneo studying the Iban people. His 1953 doctoral dissertation described the relations between Iban agriculture and kinship practices. Returning to Borneo in 1961 he suffered a nervous breakdown induced by an intense rivalry with ethnologist and explorer Tom Harrisson. 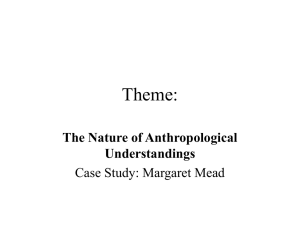 This experience profoundly altered his view of anthropology, changing his interests to looking at the ways in which human behavior is influenced by universal psychological and biological foundations. 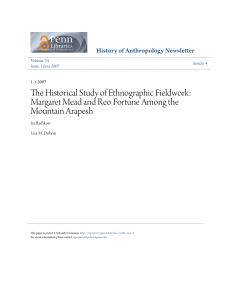 From then on Freeman argued strongly for a new approach to anthropology which integrated insights from evolutionary theory and psychoanalysis, and he published works on the concepts of aggression and choice.This new interest in biological and psychological universals lead him to take issue with the famous American anthropologist Margaret Mead who had described Samoan adolescents as not suffering from the ""coming of age"" crisis which was commonly thought to be universal when the study was published in 1923. Mead argued that the lack of this crisis in Samoan adolescence was caused by the youths' greater degree of sexual freedom, and that adolescence crises were therefore not universal, but culturally conditioned. In 1966-67 Freeman conducted fieldwork in Samoa, trying to find Mead's original informants, and while visiting the community where Mead had worked he experienced another breakdown. 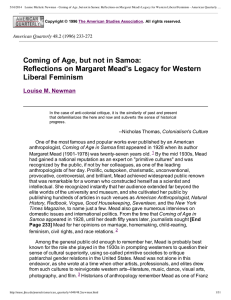 In 1983 Freeman published his book Margaret Mead and Samoa: The Making and Unmaking of an Anthropological Myth in which he argued that Mead's data and conclusions were wrong and that Samoan youths suffered from the same problems as Western adolescents. He also argued that Samoan culture in fact put greater emphasis on female virginity than Western culture and had higher indices of juvenile delinquency, sexual violence and suicide. 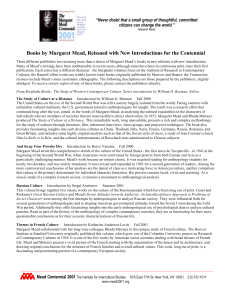 He later published ""The Fateful Hoaxing of Margaret Mead"" in which he argued that Mead's misunderstandings of Samoan culture were due to her having been hoaxed by two of her female Samoan informants, who had merely joked about sexual escapades that they did not in fact have.Freeman's critique of Mead sparked intense debate and controversy in the discipline of anthropology, as well as in the general public. Many of Freeman's critics argued that he misrepresented Mead's views and ignored changes in Samoan society that had taken place in the period between Mead's work in 1925-1926 and his own from 1941-1943, including an increasing influence of Christianity. 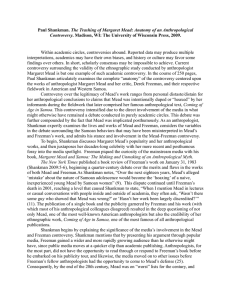 Generally, Freeman's critique has not been accepted in the anthropological community. Several Samoan scholars who had been discontent with Mead's depiction of them as happy and sexually liberated thought that Freeman erred in the opposite direction. But Freeman's arguments were embraced enthusiastically among scholars who prefer an evolutionary approach to the study of human behavior, such as that taken in the fields of sociobiology and evolutionary psychology. The debate made Freeman a celebrity both inside and outside of anthropology, to an extent that in 1996 Freeman's life became the topic of the play Heretic written by Australian playwright David Williamson, which opened in the Sydney Opera House. The so-called Mead-Freeman controversy spanned three decades, and Freeman published his last rebuttal of a critique of his arguments only weeks before his death in 2001.